In this darkly comedic odyssey, Academy Award nominee Rinko Kikuchi stars as Kumiko, a frustrated Office Lady whose imagination transcends the confines of her mundane life. 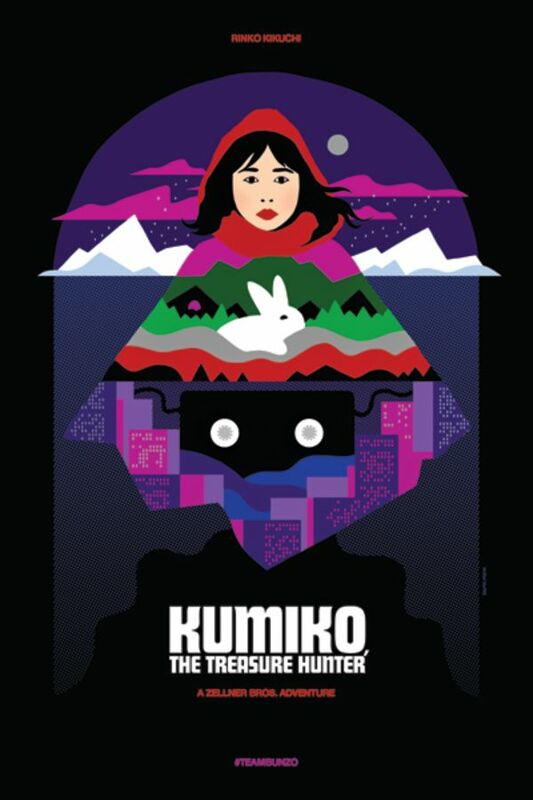 Kumiko becomes obsessed with a mysterious, battered VHS tape of a popular film she’s mistaken for a documentary, fixating on a scene where a suitcase of stolen cash is buried in the desolate, frozen landscape of North Dakota. Believing this treasure to be real, she leaves behind Tokyo and her beloved rabbit Bunzo to recover it. A jaded Japanese woman discovers a hidden copy of FARGO on VHS, believing it to be a treasure map indicating the location of a large case of money.